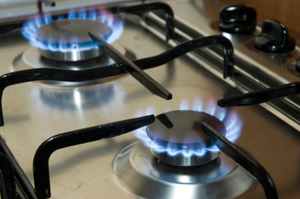 The tariffs offered by energy suppliers in the UK are set for a huge shake-up with Ofgem bringing in a number of changes for the new year. The UK's energy regulator will enforce a number of changes including banning confusing and complex tariffs and limiting the number of tariffs energy firms can offer each customer to just four. Ofgem chief executive, Andrew Wright, said "Profits are not an entitlement, they should be earned by companies competing keenly to offer consumers the lowest prices and the best service. "Now it is up to suppliers to build on our reforms to restore consumer confidence in the energy market." After an extensive period of research in a Retail Market Review which began in 2010, the first wave of changes came into play from January 1, 2014. As well as being limited to offering four tariffs, the energy supplier now have to inform customers exactly what they have done or plan to change as part of a "Treating Customers Fairly" Statement. These changes are only the beginning of a number of reforms as, in April 2014, energy suppliers will also be forced to inform customers of the cheapest available tariff and what they could save by changing to it as well as a number of other changes to how information is presented to customers. Energy UK chief executive, Angela Knight, said: "If you look at the market now, the deals are fewer in number and much easier to compare. "Customers will see improvements to the information they get as a result of energy companies bringing in the changes set out in the Retail Market Review. "This should help people get the best deal."